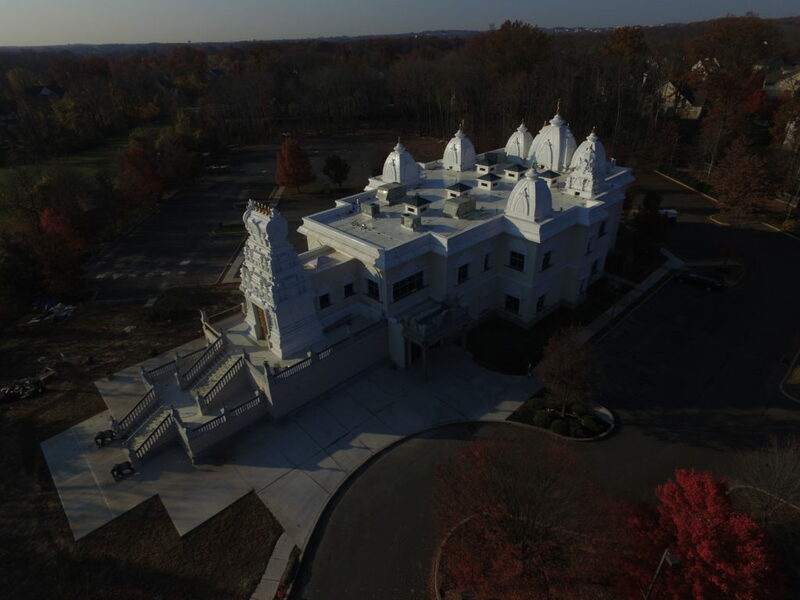 On October 29th, 2006, the Bharatiya Temple and Cultural Center Board of Directors and Board of Trustees unanimously approved this beautiful conceptual picture of Bharatiya Temple with Phase II Indianization effect. The Indianization effect has been designed and developed in consultation with Padmasri Muthia Stapathi from Chennai, India. 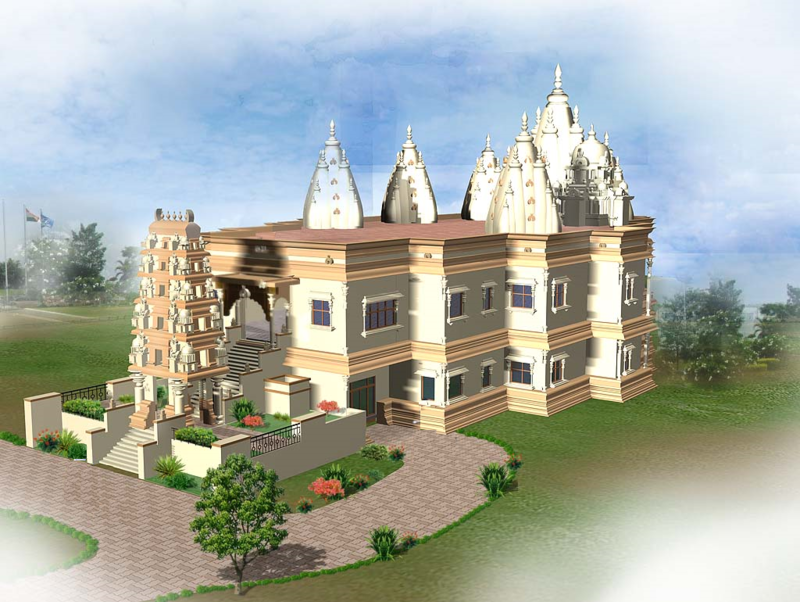 The Temple building will have a beautiful Rajgopuram at the main entrance, one large Shikhar for Sri Laxmi Narayan, Sri Radha Krishna and Sri Ram Parivar and six separate Shikhars for Sri Venkateswara, Sri Mahavirswami, Ma Durga, Sri Siva Parvati, Sri Ganesha and Sri Hanuman. Phase II will also include Indianization of all windows, doors and all outside wall covering. 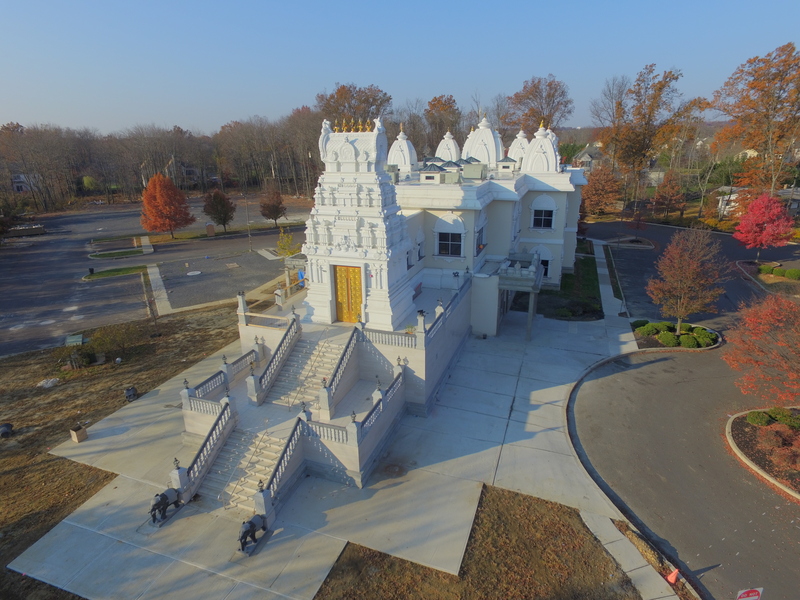 All inside temple altars will be decorated with Indian carvings and designs. The building construction went as planned and below is the final product which very closely resembles the original plan. From June-9th thru 12th and from June-17th thru 19th, 2016, the Bharatiya Temple and its community celebrated Kumbabhiskekam Mahotsav. Click here to view the Kumbabhishekam Brochure and Click here for a glimpse of the Kumbabhishekam celebration.